In recent years, sea-level rise, erosion, and loss of habitat around Cedar Key have become increasing concerns. Homeowners and land managers should critically evaluate how “gray” a shoreline erosion solution really needs to be. This is because of the increased cost and potential for negative effects to other properties caused by shoreline hardening. While “gray” solutions might be necessary at some sites, softer solutions called “living shorelines” are great options for many lower energy sites. 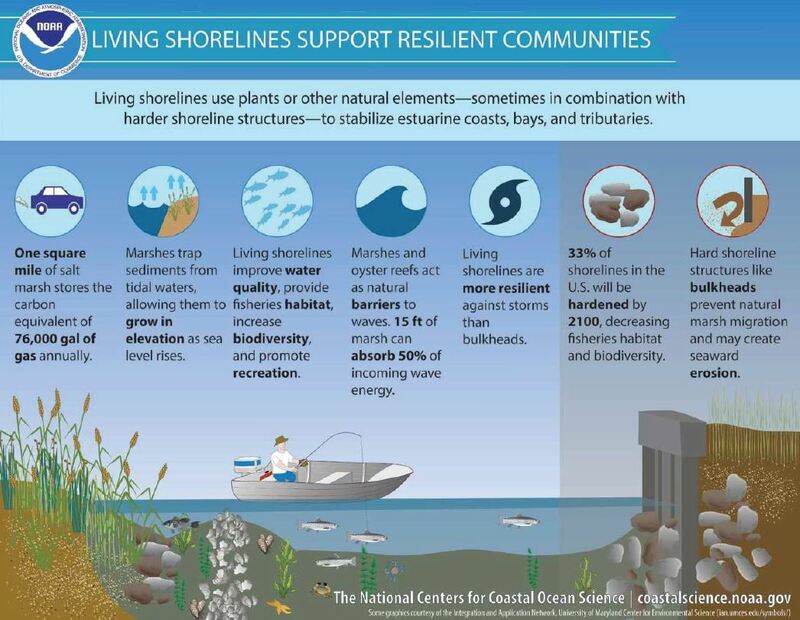 Living shorelines offer a great alternative to armored shorelines (e.g., seawalls) by providing natural materials that buffer wave action, absorb storm impacts, filter pollutants, and provide food and shelter for fish, shellfish, and wading birds. But deciding what kind of shoreline erosion solution is suitable for an individual homeowner’s shoreline can be difficult without local-scale guidance. 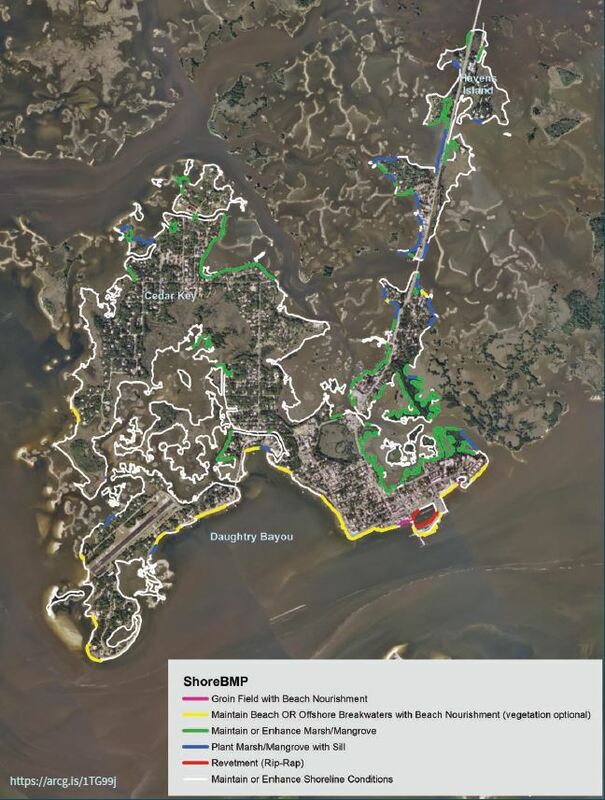 To provide guidance for residents and officials in Cedar Key, FL, we applied the Living Shoreline Suitability Model (LSSM) developed at the Virginia Institute of Marine Science (VIMS). The LSSM results recommend environmentally and structurally sound erosion control interventions at a local scale (individual property) based on factors such as shoreline exposure, upland conditions, and existing habitats. 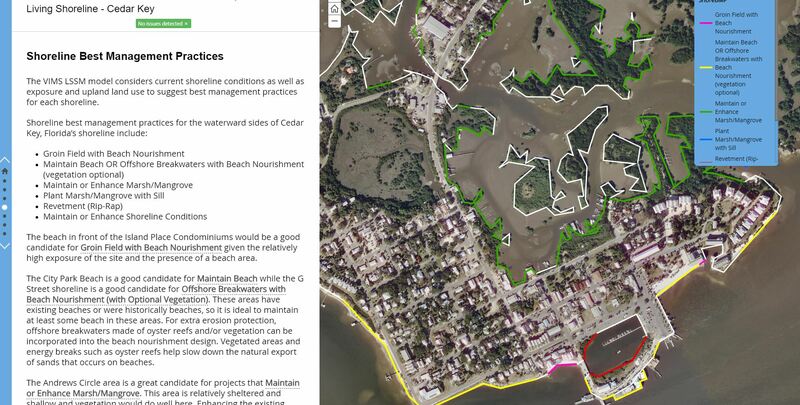 The map to the left displays the results of the LSSM for Cedar Key, FL. 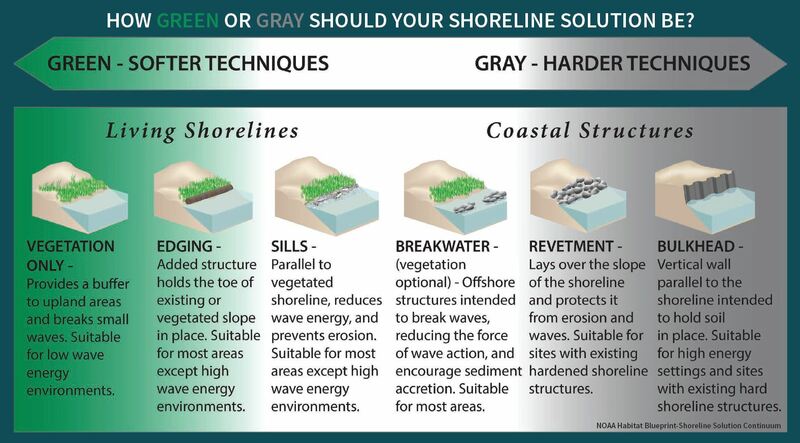 Different colors represent the different shoreline erosion interventions recommended by the model for each section of shoreline. Even if a property owner knows what kind of shoreline project is feasible based on the LSSM results, the complex regulatory environment makes it difficult to begin. Coastal projects such as living shorelines or beach nourishment require an understanding of the state and federal permitting process. This tool provides permitting guidance for each based on the most up-to-date rules of the US Army Corps of Engineers and the Florida Department of Environmental Protection. The legal analysis indicates that many projects recommended by the LSSM are likely exempt from obtaining a state permit, greatly streamlining the process for property owners. Access the online interactive tool at https://arcg.is/1TG99j . This project was made possible through a grant from the Gulf of Mexico Climate and Resilience Community of Practice and via a partnership with the City of Cedar Key. 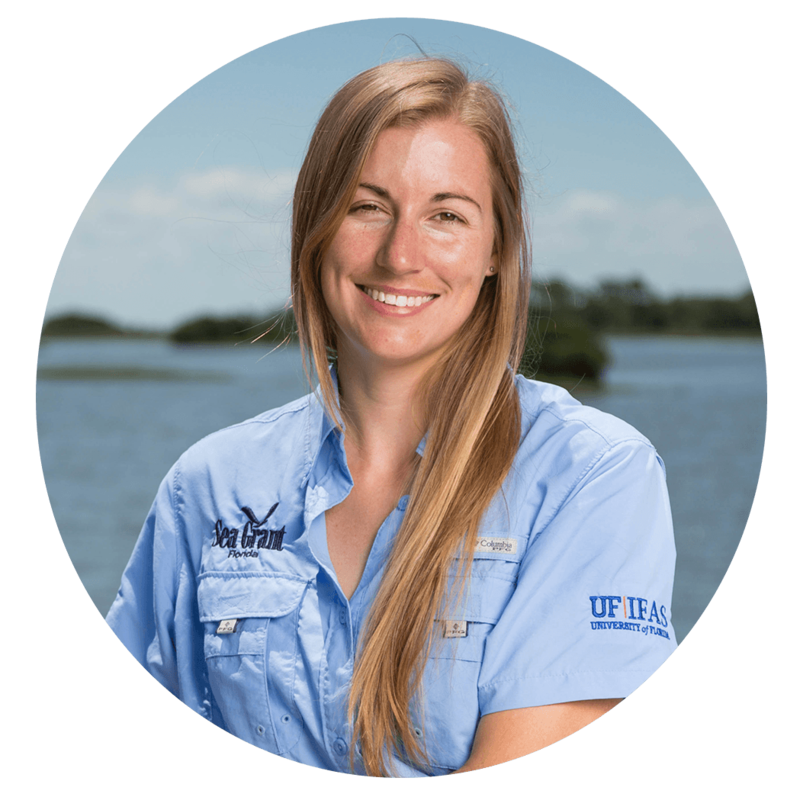 The project is a collaborative effort between faculty and staff in the UF Levin College of Law, UF/IFAS Extension, the UF/IFAS Nature Coast Biological Station, Florida Sea Grant, and the UF/IFAS Soil and Water Sciences Department.